Created in collaboration with Paul Devine. The domain name system stores and associates many types of information with domain names, but more importantly, associates domain names (computer hostnames) to IP addresses. DNS is a system vital to the smooth operation of the Internet. 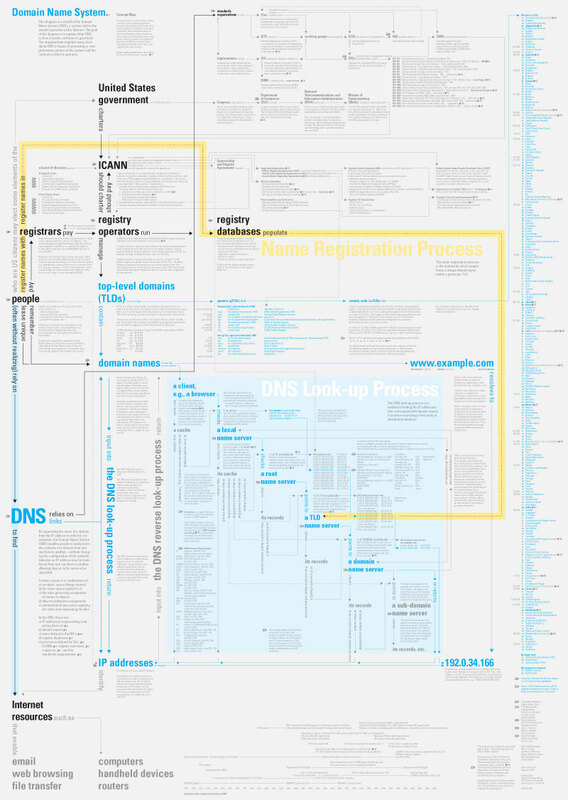 The goal of this diagram is to explain what DNS is, how it works, and how it’s governed. 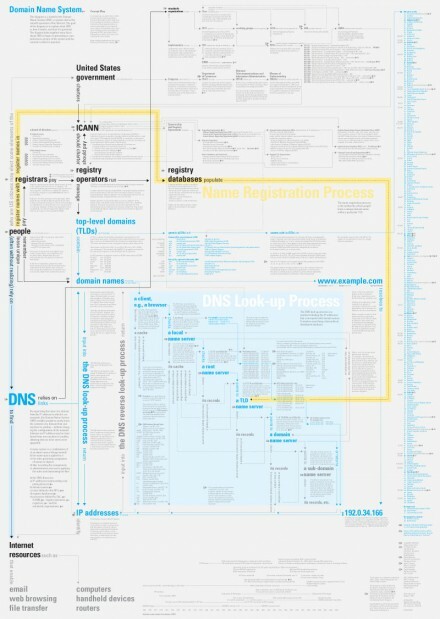 The diagram knits together many facts about DNS in hopes of presenting a comprehensive picture of the system and the context in which it operates. Hugh Dubberly created this diagram in conjunction with a study: “Internet Navigation and Domain Name System.” The study was run by The National Academies’ Computer Science and Telecommunications Board which convened a study committee. The study was sponsored by the Department of Commerce and the National Science Foundation and mandated by the US Congress. RANDPOP | Noch ein paar nerdige Poster für das Heimbüro gefällig? Domain Name Server | IT-DEVILS E.U.